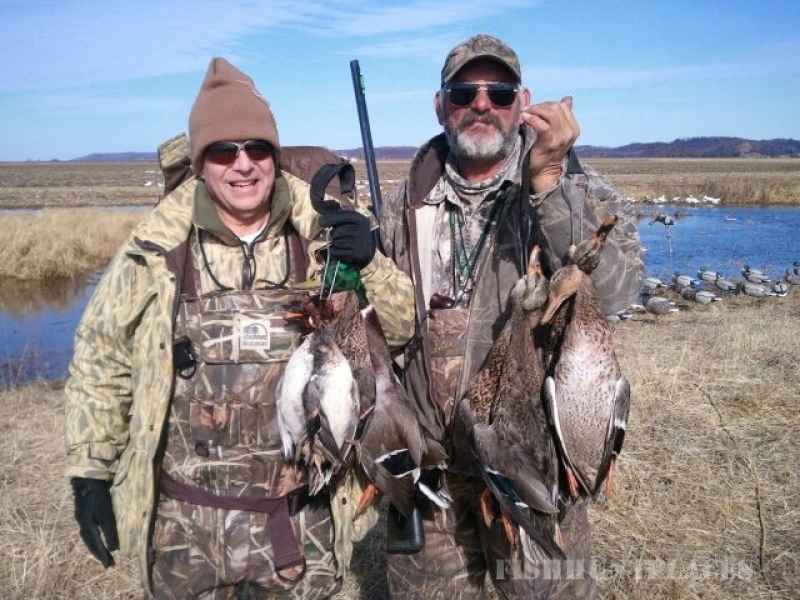 We even have the ability to keep open water for the late season Northern Red Legged Mallards that always hang around when they are gone from the Northern states and they may never make it any farther South! 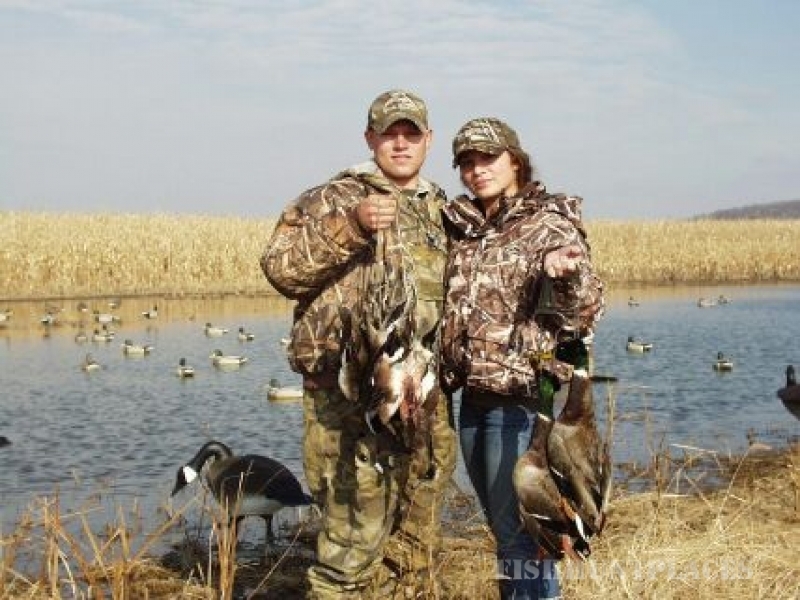 THERE WILL BE THOUSANDS OF JUVENILES TO BE SUSCEPTIBLE TO BLAZING GUNFIRE SO DON’T WAIT TO GET A SPOT WITH US, BRING LOTS OF AMMO AND TAKE PART IN THE WATERFOWL HUNTING ACTION LIKE NEVER BEFORE!! 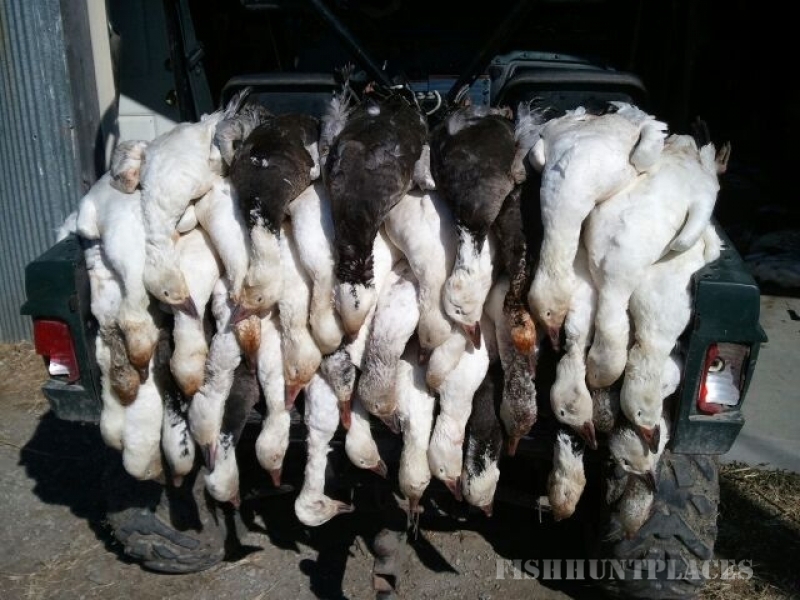 The farm we hunt has a proven track record for harvesting all species of ducks along with Canada geese, white fronts, fall snow geese and piles of spring snows! 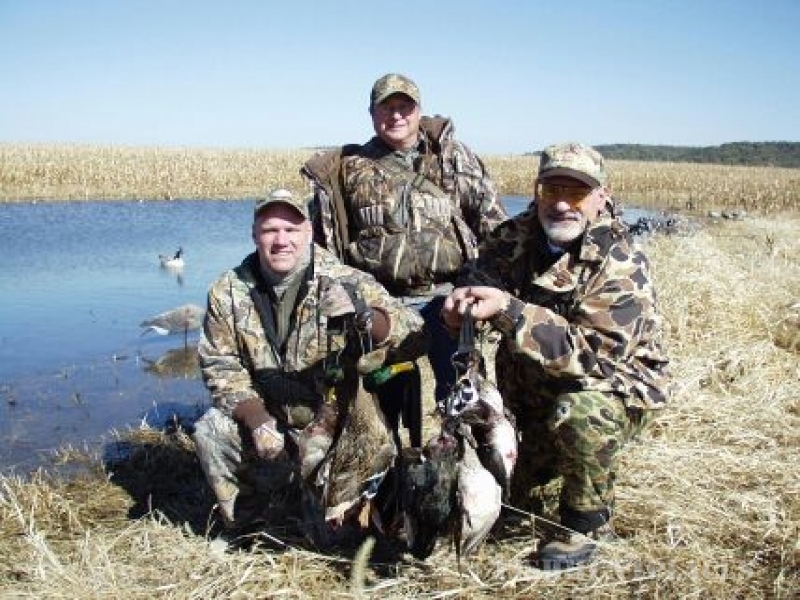 There is miles of set aside available for pheasant hunting also. We hunt on a flooded field in a 32 foot heated Pit Blind with Electrical Power, Cook Station, and built in Dog Kennels. 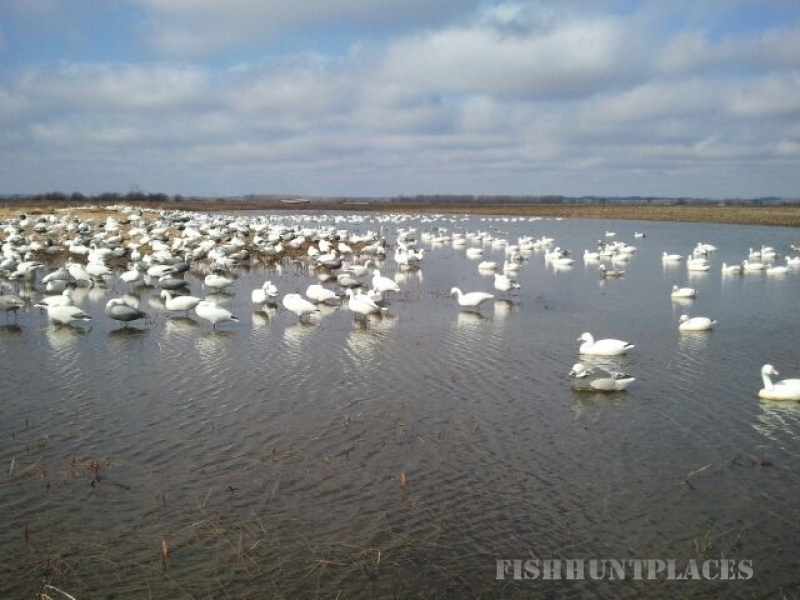 There is a spread of Canada Big Foot full bodied decoys, floating duck decoys, field mallards and full bodied snow goose decoys. 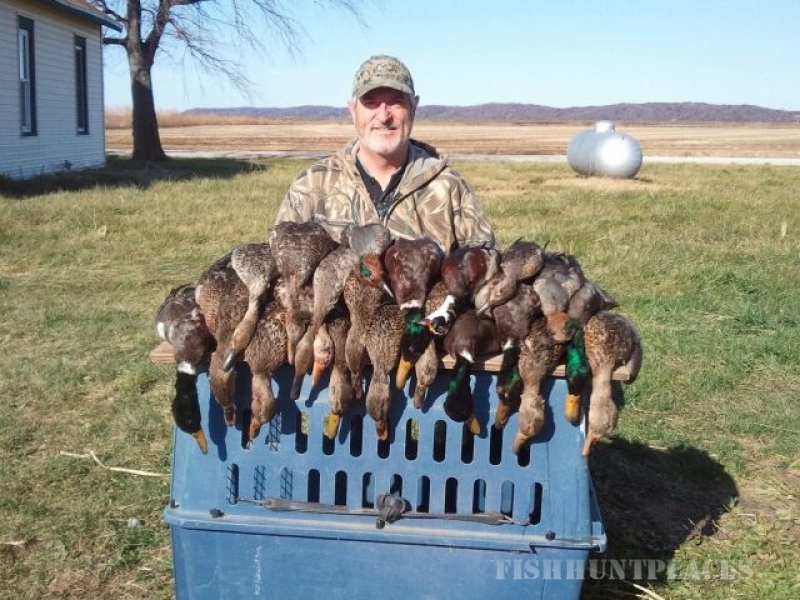 We have the ability to keep open water for late season Mallard shooting. The pit blind is within a short walking distance of the parking area on a grass covered lane. There’s a bunkhouse and outbuilding located on the property off a well maintained gravel road. There is door to door service with a Yamaha Rhino 2-seat 4×4. 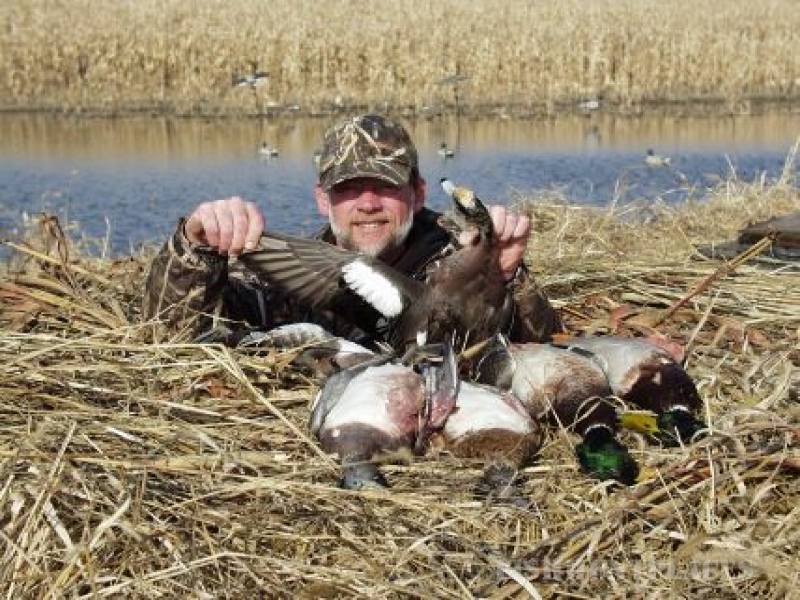 The hunting grounds are located within 45 minutes of Omaha close to the Missouri River.